The Best Escape Room Blogs from thousands of Escape Room blogs in our index using search and social metrics. We’ve carefully selected these websites because they are actively working to educate, inspire, and empower their readers with frequent updates and high-quality information. Also check out Top Escape Room Youtube Channels list for Top videos on Escape Room. Escape Room newsletter is a comprehensive summary of the day's most important blog posts and news articles from the best Escape Room websites on the web, and delivered to your email inbox each morning. To subscribe, simply provide us with your email address. San Francisco, CA About Blog Escape Room Tips is an Escape Room blog sharing their enthusiasm for escape rooms and puzzles. They share tips, reviews, and articles about escape rooms. Facebook fans 520. Twitter followers 1,143. USA About Blog Subscribe Room Escape Artist who publishes well-researched, rational, and reasonably humorous escape room reviews, design and players tips daily. Facebook fans 1,300. Twitter followers 1,902. About Blog Escape Fan is one of the biggest and most popular point 'n click escape games website in the world. It is the best escape game community with tons of room escape games to play. Play the newest online escape games on Escape Fan. Facebook fans 1,438. Twitter followers 181. Los Angeles, CA About Blog The motto of our organization is: ''To help players and owners get the most out of their escape room experiences!'' Our orgnaization is built on a team-centric philosophy with over 30 members spread across 6 teams in: LA, NYC, Toronto, Chicago, Denver, & Kansas City. Facebook fans 1,016. Twitter followers 2,406. About Blog Escape Authority is a social hub for Escape Room fans, designers, and owners. Find In-depth Escape Room Reviews from industry professionals, discussion forums, and articles. Facebook fans 1,673. Twitter followers 186. Anaheim, CA About Blog Designed by enthusiasts for enthusiasts, Cross Roads gives you the next level of escape games. Every week on our blog we will be posing new articles about Escape Rooms. Get tips, news, advice from Zoltar, and hear from our game masters. Facebook fans 4,036. Twitter followers 767. San Francisco, CA About Blog Reddit is a community of millions of users engaging in the creation of content and the sharing of conversation across tens of thousands of topics. A sub-reddit to collect and talk about escape rooms around the world. Facebook fans 1,215,083. Twitter followers 580,833. About Blog Find Escape Games news and updates on escape games. Keep up to date with the world of Escape Rooms, and how Escape Games has their pulse on the industry. Facebook fans 3,376. Twitter followers n/a. London, England About Blog The Logic Escapes Me is a London based blog on escape rooms. Facebook fans 126. Twitter followers 1,274. About Blog The Escape Game is America's #1 escape room experience for everyone from families to coworkers. Their innovative designs and highly trained game guides create unforgettable experiences for adventure seekers around the country. Facebook fans 1,018. Twitter followers 148. About Blog Exit Games UK is a comprehensive guide to exit games, escape games, locked room games, puzzle games, puzzle hunts and more in the UK and Ireland. Facebook fans 533. Twitter followers 1,287. Springfield, MO About Blog Springfield Escape Room is a adventure game in which you have to use elements of the room to solve a series of puzzles and escape. Facebook fans 10,567. Twitter followers 83. About Blog Grand Rapids Escape Room Game is the #1 Escape Room in Grand Rapids. It is a physical adventure game in which you have to use elements of the room to solve a series of puzzles and escape. Facebook fans 5,474. Twitter followers n/a. Paris, France About Blog Follow Escape Game to find dozens of escape games, and experiences. Facebook fans n/a. Twitter followers 505. About Blog Hi I'm Gesine. Exit-game.info is the my German-language specialist blog on topics related to Live Escape Games. Here you will find tips for players as well as articles for experienced and prospective operators. About Blog Urban Escape Games brings the latest worldwide entertainment trend. Learn about great team building activities, corporate events, parties, and all the things that make Urban Escape Games a destination in Atlanta. Facebook fans 1,965. Twitter followers 212. Sydney, Australia About Blog Escape Rooms in Sydney is a blog by Scott who provides his opinion on various escape rooms that have opened up in Australia. He has been to almost all escape room outfits currently open in Sydney. Follow this blog for more updates on escape room in Sydney. Liverpool, England About Blog Hi I'm Brit. I am an Escape Room Enthusiast, reviewing ALL the escape rooms I can get my hands on. United States About Blog We are escape room enthusiasts. We love to share tips, reviews, and find great deals for escape events! Oceanside, CA About Blog Codebreakers offer escape rooms for the family and for team building. Escape rooms are the perfect places to go for a team building event, date night, family night, and birthday parties. Follow this blog to know more about Codebreakers Escape Rooms. Facebook fans 646. Twitter followers 160. North Conway, NH About Blog Mystery NH is a fun and exciting, immersive, real-life escape room experience. Find clues, solve the mystery, and exercise your brain. Facebook fans 2,620. Twitter followers 65. TX, US About Blog ROOM ESCAPE ADVENTURES are live interactive productions that allow people to get a taste of what it would be like to be on realty TV shows such as Fear Factor, Minute To Win It, Survivor & The Amazing Race. Find the clues, solve the riddles, get the key, and escape or be eaten! Facebook fans 8,683. Twitter followers 347. Fort Wayne, IN About Blog Subscribe Fort Wayne Room To Escape in a real life adventure escape game designed for small groups or couples. Facebook fans 4,980. Twitter followers 1,554. About Blog The Great Escape Room is a unique blend of a traditional escape room and a challenging scavenger hunt. Midway Park, NC About Blog Cracked It gives Escape Room industry news and updates for current and future Escape Room owners. Facebook fans 3,102. Twitter followers 264. Escondido, CA About Blog Subscribe Clue Avenue Escape Rooms to find more about escape rooms. Facebook fans 1,939. Twitter followers 358. Charlotte, NC About Blog The Box offers a revolutionary new way in the Escape Room experience. Sucribe to find secrets, interesting topics, and answers to questions that you've always wondered about escape rooms. Facebook fans 530. Twitter followers 74. Facebook fans 922. Twitter followers 272. Jacksonville Beach, FL About Blog Follow the Escape Crusaders as discuss topics from anxiety to game masters. We are dedicate to the review and development of escape rooms. Facebook fans 1,633. Twitter followers 432. About Blog Hi I’m Christine. I’m a girl obsessed with haunts, escape rooms and other oddities. Find posts and updates on haunts and escape rooms. Facebook fans n/a. Twitter followers 6,879. About Blog Elude Escape Room are a physical adventure game in which players solve a series of puzzles, using clues, hints and strategy within a limited time. Find great team building exercises, parties or just for fun. Facebook fans 1,274. Twitter followers 127. Virginia, USA About Blog The Escape Room Guys provides reviews and consulting services for the Escape Room industry. Facebook fans 66. Twitter followers 218. About Blog EscapeFront Will Help You Launch And Run A Successful Escape Room Business! Our mission is to empower you to be the best escape room entrepreneur you can be. We'll show you how to market your business, navigate the permitting process and so much more! California, USA About Blog Escape Room Reviews for beginners and experts! We played rooms in the US, Canada and the UK and rate them so that you can play the best escape rooms out there. About Blog Follow us to keep up with articles from Escape Game Addicts. Toronto About Blog Follow us to keep up with articles from the Codex. Columbus, OH, US About Blog Trapped in a Room with a Zombie and more located in Chicago, NYC, Columbus, and Dallas. Find the clues, solve the riddles, get the key, and escape..or be eaten! About Blog Can You Escape? is a fast and fun escape room experience for 2-16 people in Edinburgh. You and your team will be locked in a room and the countdown will begin. Can you beat the clock? About Blog Fort Wayne's first real-life adventure game. Your goal is simple: you have one hour to work together, crack codes, and solve ciphers to escape! About Blog Follow us to keep up with articles from Escape Room Supplier. About Blog Escape room experiences are the newest craze worldwide. Esxoss Manway is bringing a new standard for escape rooms to Calgary. With cutting-edge AI technology and immersive themes, we blur the line between fiction and reality. Be prepared to be overloaded with mind-blowing puzzles, hidden passages, laser traps, riveting drama, and much more. About Blog Singapore's leading escape room game, offering affordable high-tech escape rooms that features fascinating puzzles while promising you an immersive experience. About Blog The latest posts about Escape Rooms and the Buzzshot software. Facebook fans 53. Twitter followers 171. About Blog Three Keys Escape Game Atlanta Blog News, Mysteries & Thoughts! How to Plan for the Best Party Events! Best Party Events in Atlanta Georgia Have specific objectives for your Event! Facebook fans 3,369. Twitter followers 249. About Blog We specialize in team building activities that place participants in a unique scenario in which they must rely on each other, their ability to communicate and their creative genius to escape a room. Facebook fans 3,358. Twitter followers 2,822. Facebook fans 310. Twitter followers 73. About Blog Find tips, advice and fun stories on our Escape Reality blog. About Blog Urban Escape Games brings the latest worldwide entertainment trend to the Atlanta area! Come try to escape our themed rooms filled with clues and puzzles. Boca Raton, FL About Blog Try-N-Escape is an escape room adventure where you have to use your wits to solve all the puzzles in a room in order to escape. It's a family friendly, team building, mind numbing adventure in puzzle solving and social interaction where you'll have a great time with your family, friends, and coworkers. Facebook fans 808. Twitter followers 44. 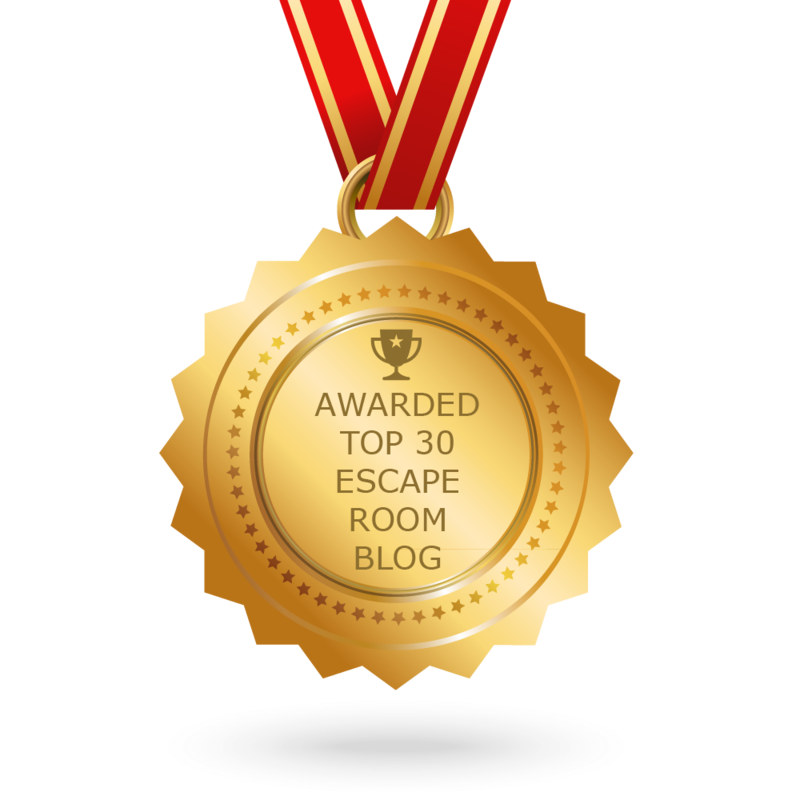 CONGRATULATIONS to every blogger that has made this Top Escape Room Blogs list! This is the most comprehensive list of best Escape Room blogs on the internet and I’m honoured to have you as part of this! I personally give you a high-five and want to thank you for your contribution to this world.